Such is the strength of the ECM aestheticvisually as well as musicallythat it's one of very few record labels in the history of jazz that is referred to describe a person's musical tastes. The northern European jazz sound which Manfred Eicher has made synonymous with his fabled labelcool, spacious, pastoralcolors the majority of ECM releases, so it's something of a surprise to be confronted by guitarist Terje Rypdal rocking out, backed by the seventeen-piece Bergen Big Band, crashing drums, swirling Hammond-B 3, and a touch of psychedelia to boot. 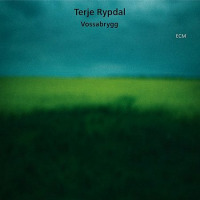 Rypdal's continuous, hour-long commission was recorded live in Bergen at the Natjazz Festival, May 2009, though audience applause has been edited out, leaving the listener to wonder how the audience reacted, and whether its response would have added to the atmosphere of the recording. The use of snippets of dialog from films such as The Godfather (1972), The Good, The Bad and The Ugly (1966), Silence of the Lambs (1991) and, oddly, Back to The Future (1985), for the most part complement the brooding, film-noir segments of the music rather well, though the music would have no doubt worked admirably without the need for such sympathetic manipulation. This is, however, less a concept album than a quite striking orchestral work. At times the large ensemble sounds like a Charles Mingus big band warming up, or perhaps Sun Ra's Arkestra, particularly on the restless "Prime Suspects" with its brass shrieks and squalls, brooding bass clarinet and rattling drums, or on "The Criminals," where tenor saxophones spiral together in open duel. In the quieter sections, a lush, soothing Gil Evans-esque mood pervades the music, notably on "It's A Fact" and "It's Not Been Written Yet." On this latter piece, the various sections of the big banddirected by Olav Daleplay against each other like voices in a choir, pierced by guitar and trumpet, though momentum is somewhat lost with a rather long spoken segment from a gangster movie. 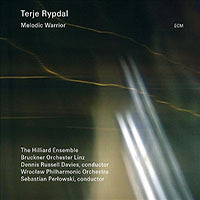 Rypdal's fondness for electric-period Miles Davis, together with the significant presence of trumpeter Palle Mikkelborg, flavors much of the music with the spirit of Miles. Muted trumpet echoing eerily, a dark, brassy undertone and a tension never quite resolved combine to evoke the slow passages of Davis' Jack Johnson, (Columbia, 1971) particularly on "The Good Cop" and "One of Those." 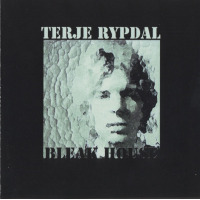 There are plenty of surprises too; the window-rattling rock workout of "Don Rypero" and "Action" see Rypdal unleash grinding, searing solos. The jazz-rock aesthetic comes to a boil on "Investigation" where Mikkelborg blows fiercely and unreservedly and Ståle Storløkkena significant presence throughouturges swirling, moody cries from his Hammond B-3. 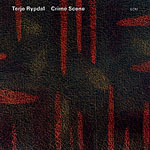 The eclectic components of Crime Scenepart soundtrack, part orchestra suite, part avant jazz, part rockmerge into a fairly seamless whole which transports the listener through a range of contrasting emotions. Rypdal's fertile imagination is given full voice by the splendid Bergen Big Band and the performance of the entire ensemble is notable. As for the missing applause, well, it shouldn't be too challenging to imagine.